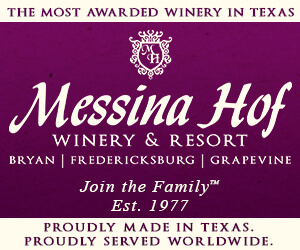 I always enjoy visiting wineries here in Texas. 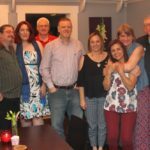 While just visiting, ample other entertainments often present themselves like tours, live music, and educational sessions, not to mention meeting new friends and catching up with old ones. However, sometimes these options are not available, which can make the day feel dull. For children accompanying their parents, some visits offer little stimulation or amusement. 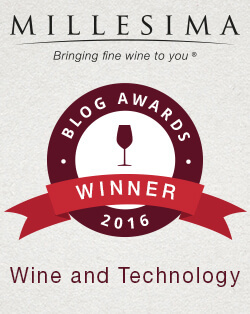 To fend off this possible dullness, we look for new ways to bring excitement to our visits. One of the biggest current crazes can do just that. 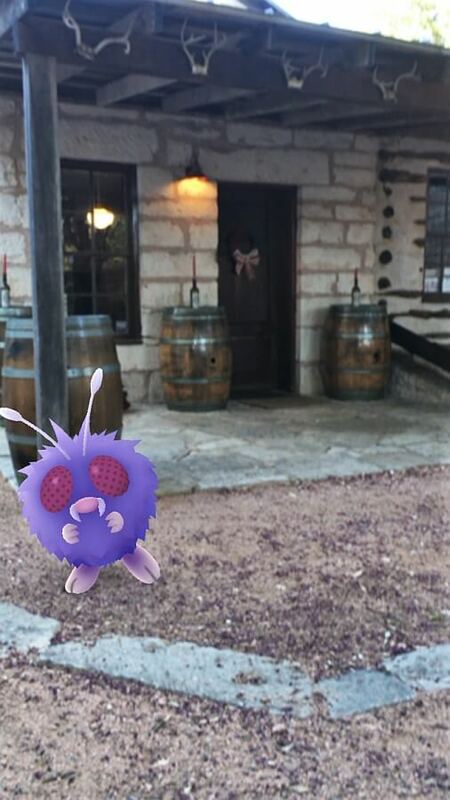 Texas wineries can provide ample opportunities to catch ’em all in Pokémon Go! 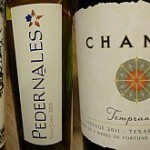 Recently, my husband Sean and I decided to take a random drive into the Texas Hill Country to see what we could find. We stumbled across a number of great locations. 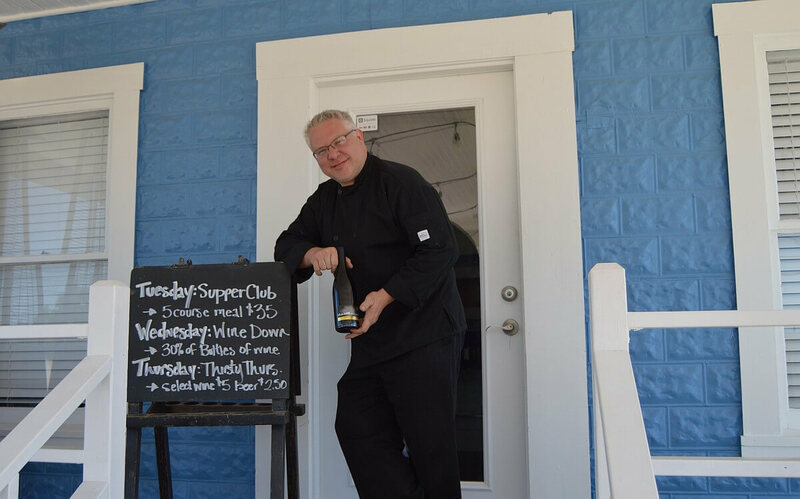 The next week, we went back and travelled between Johnson City and Fredericksburg along Highway 290. This hunt proved fruitful, as we found enough to take up an entire weekend’s adventure. 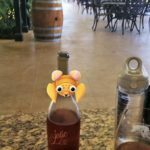 The day after, we returned with friends to sit back and enjoy the wine and play Pokémon Go! It turned out to be a great day. 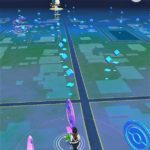 So what is so great about Pokémon Go!? The game compels players to get outside, to learn about the world around them and get some exercise. One of the game’s main goals is to catch and collect Pokémon. The best places to do that include parks, zoos, museums, and historical monuments. 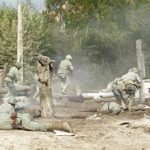 What makes these spots more enticing is their role in the game. 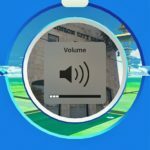 Most are Pokéstops – places where players gather tools and supplies – and some are Gyms – places where players train, strengthen, and battle with their Pokémon. 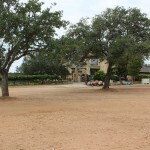 Natural environments and historical locations make up a lot of the Texas Hill Country, especially around the wineries, making them a great spot to play the game. On Sean’s and my first trip out, we came across quite a few great locations. We were not surprised that some places, especially those with plenty of open space or historical points, were a treasure trove of fun. 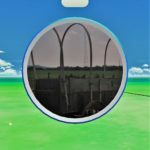 On our short adventure, we managed to visit five Pokéstops and three Gyms. We also caught Pokémon we just could not find near home. 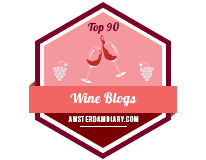 Add to that all the new wines we tried and all the great people we spent time with, and the day turned out better than planned. During the next two subsequent visits, we found even more. 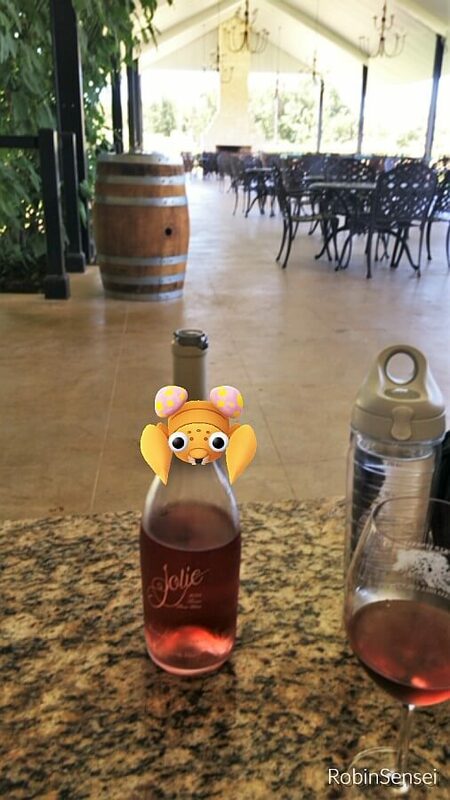 A number of wineries and wine friendly spots provide plenty of Pokémon fun. 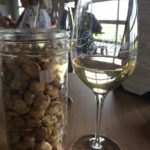 Wildseed Farms, where the new Wedding Oak Winery at Wildseed Farms tasting room is located, is one of the best to while away several hours. 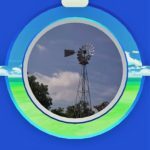 They have three Pokéstops and two Gyms (though I do not recommend trying to visit the gym located at the entrance along 290), not to mention a diverse selection of Pokémon. During our most recent visit, my friends and I took over one of the Gyms. However, none of us take the game too seriously, so we had no intention to trying to maintain our dominance. We ended up leaving it poorly defended to allow someone else, most likely a child, take it over. 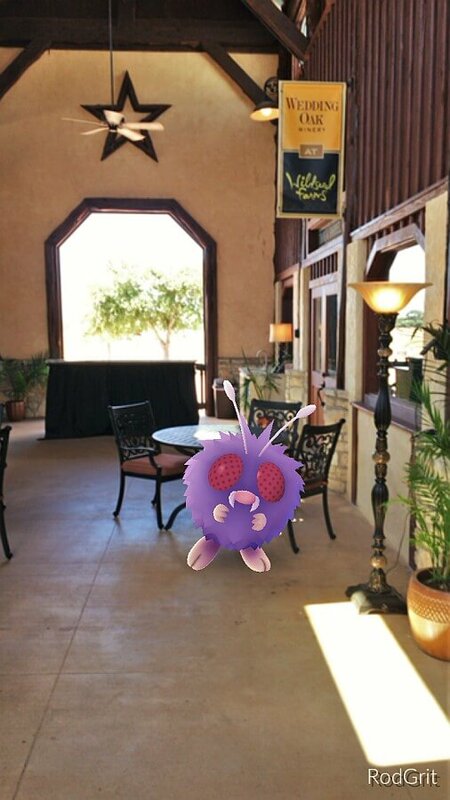 Another great spot for catching Pokémon is Becker Vineyards. 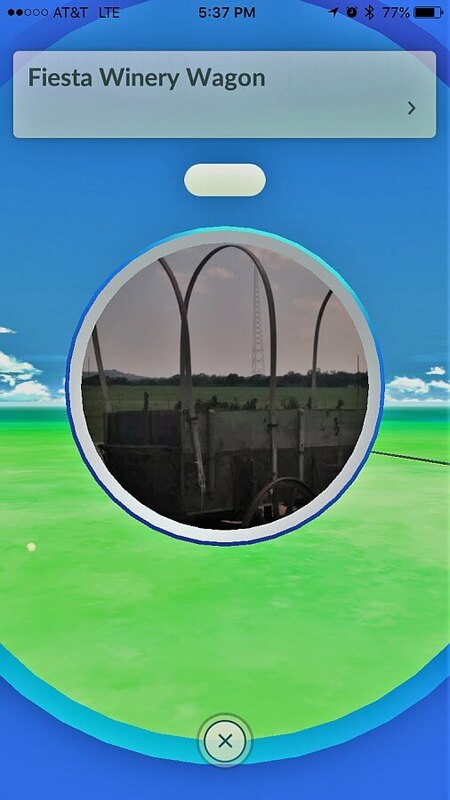 They have two Pokéstops; one is the Aermotor and the other is the winery itself. When we visited with friends, we did a bit of hunting before our tasting. Afterward, we found a cool and comfortable spot on the veranda where we ate snacks, drank a bottle of rosé, and hunted Pokémon. Every person easily caught ten or more (there are a lot here). With so much to do, we lost track of time. 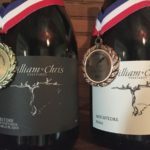 One of the wineries I visit most often, William Chris Vineyards, has its share of the fun. 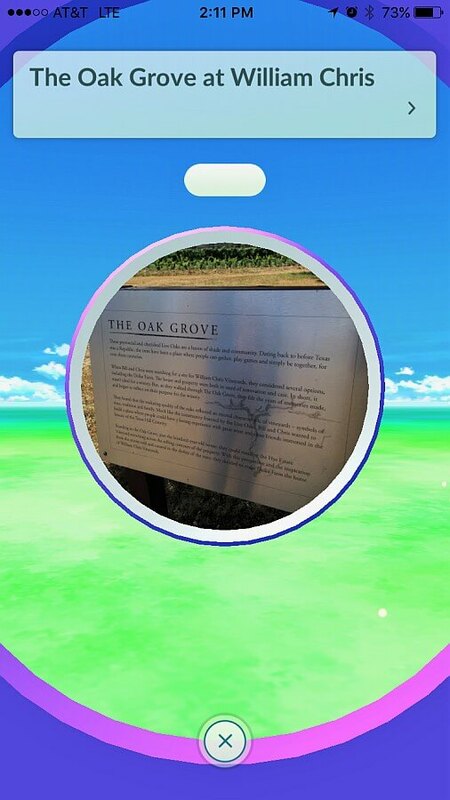 They have two Pokéstops here: the antique wine press out front and the Oak Grove in the back, not to mention quite a collection of Pokémon. In order to make the most of the location, we had to walk around and get some exercise. Also, a number of the William Chris family play Pokémon Go! on their free time, so they can give plenty of hints and advice. Across the way, Hye Market has a Gym that poses quite the challenge. 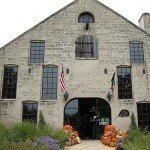 During our three excursions, we found other wonderful spots besides the wineries. 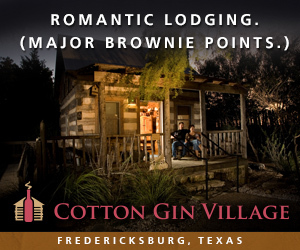 Both the square in Johnson City and Main Street in Fredericksburg are rich locations. 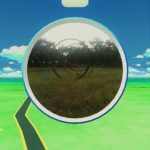 Pokéstops line both sides of Main Street from the Nimitz Museum on the east side and Pontotoc Weingarten on the west. 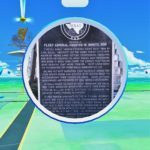 Most of the Pokéstops within the two cities are historical markers. 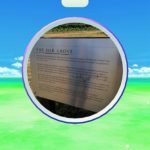 So, when we visited the Pokéstop, we found the game includes information about the historical significance. 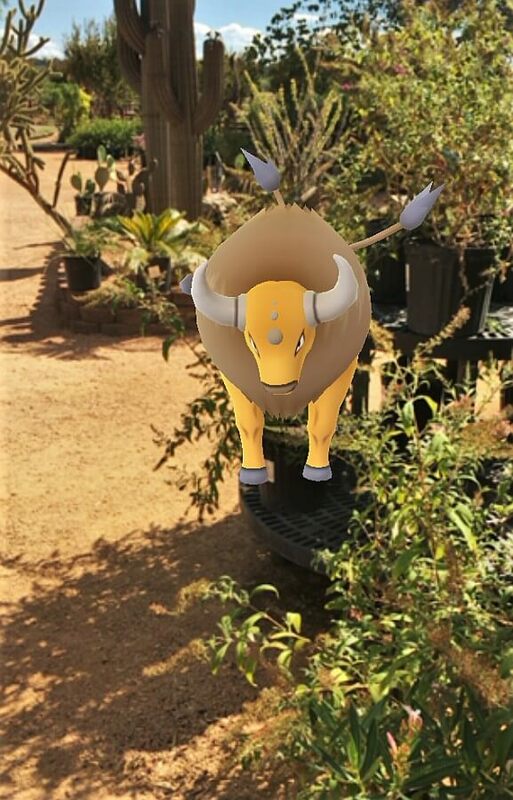 Playing Pokémon Go! in areas like these can provide quite the learning experience. 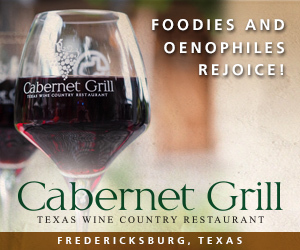 While in Fredericksburg, we stopped in for a glass of wine at Pontotoc and while there, caught a handful of Pokémon. 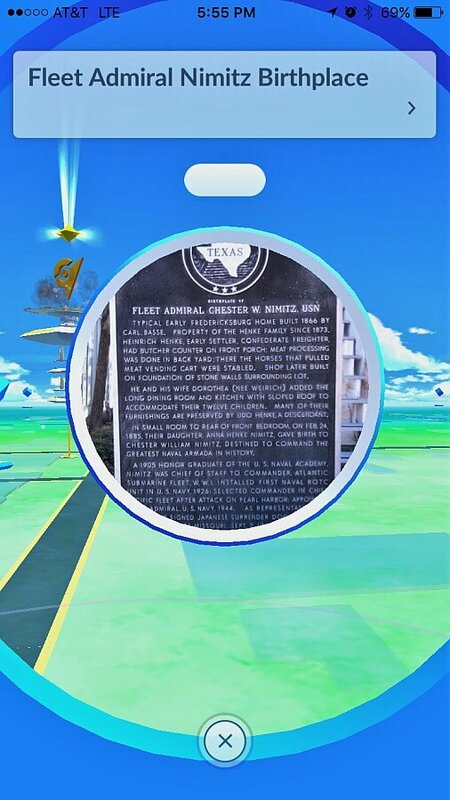 We also walked the block, passing Hondo’s and the Pioneer Museum, where we found four Pokéstops. We did not have time to play at the MarktPlatz, but I have been assured that the central park has a king’s ransom of Poke goodies. Johnson City’s town square has its share of the Pokémon. 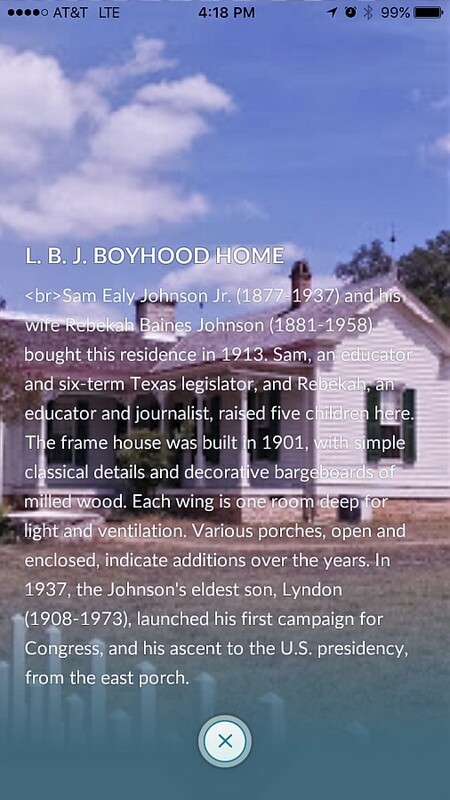 We found Pokéstops here included historical markers (especially buildings), city landmarks, and even at murals. 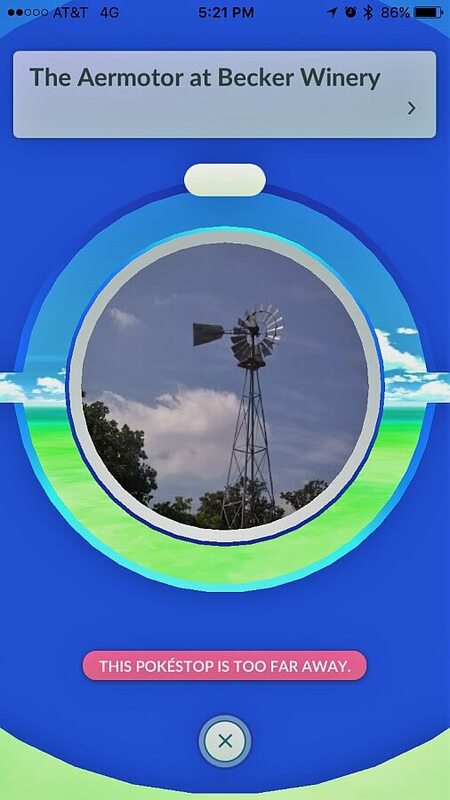 However, the best find for us, and for other Texas wine lovers, would be the Pokéstop at Bryan’s on 290. 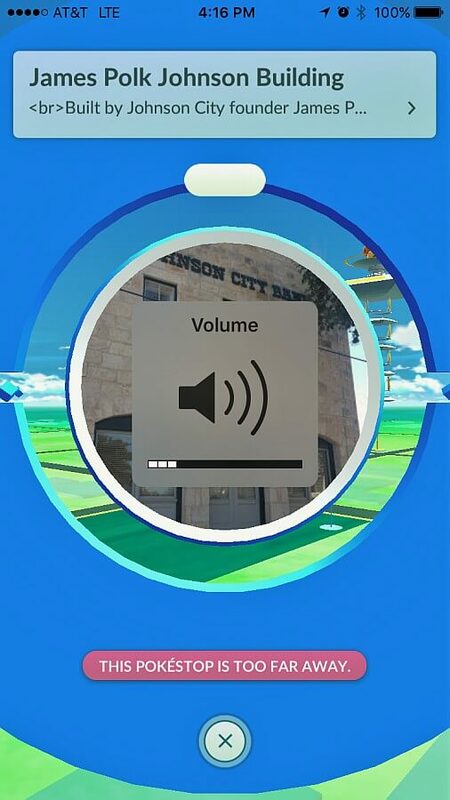 If the food and wine selection was not enough to entice anyone, the Pokéstop is just the icing on the cake. For those looking for a bit more exercise and culture, all of the area parks have a number of spots. 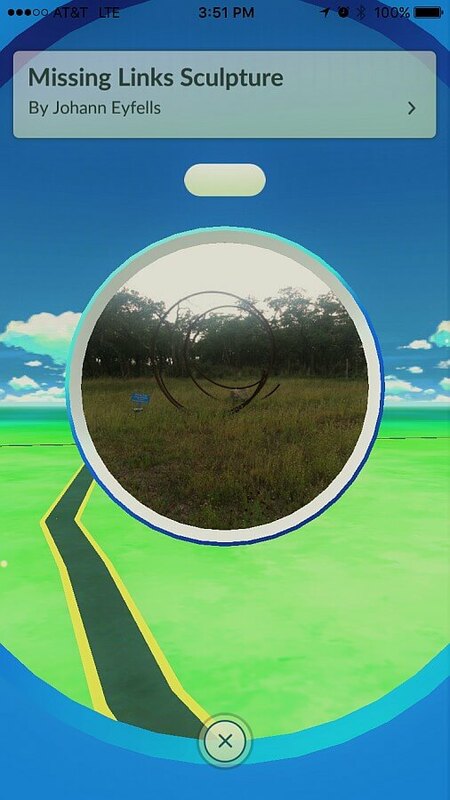 Nearly every spot of historical significance has a Pokéstop, which means there are plenty of Pokémon as well. 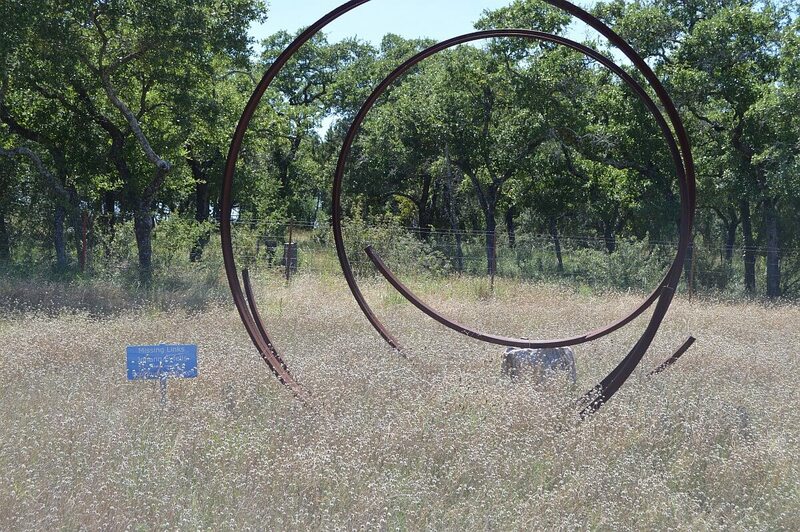 Other great spots include the sculpture garden in Johnson City and the LBJ state and national park. 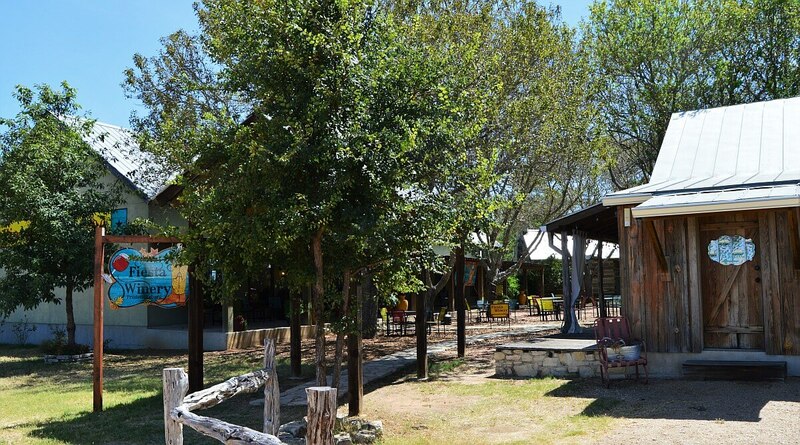 Though we did not venture as far as Pedernales State Park, there is no doubt that it would make a good spot to visit. 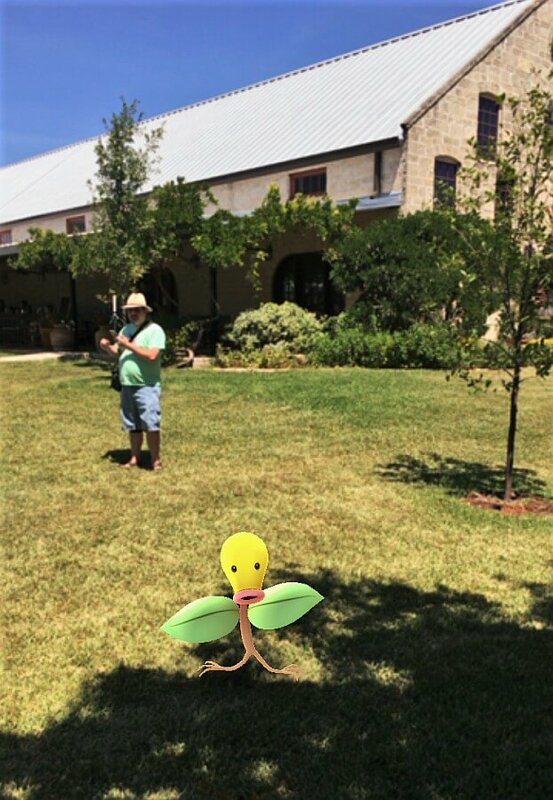 We did stop at neighboring Texas Hills Vineyard; the Missing Link Sculpture proved to be a Pokéstop, and we found a number of Pokémon inhabiting the grounds near the tasting room. This suggests the nearby Park must have quite a lot of its own. 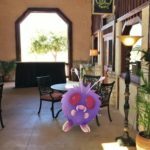 The Hill Country offers a lot of fun for those playing Pokémon Go! 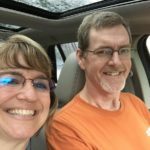 For us, adults with no kids, we enjoyed a carefree day, one that gave us much more to do and a lot more to share. 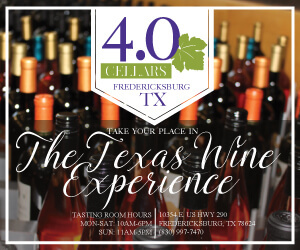 I can only imagine how much more exciting a trip to the Hill Country wineries would be for children. 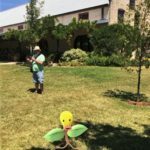 Now parents can enjoy a pastime while sharing another with the kids, all while having a Pokémon tour of the wineries and nearby sites. 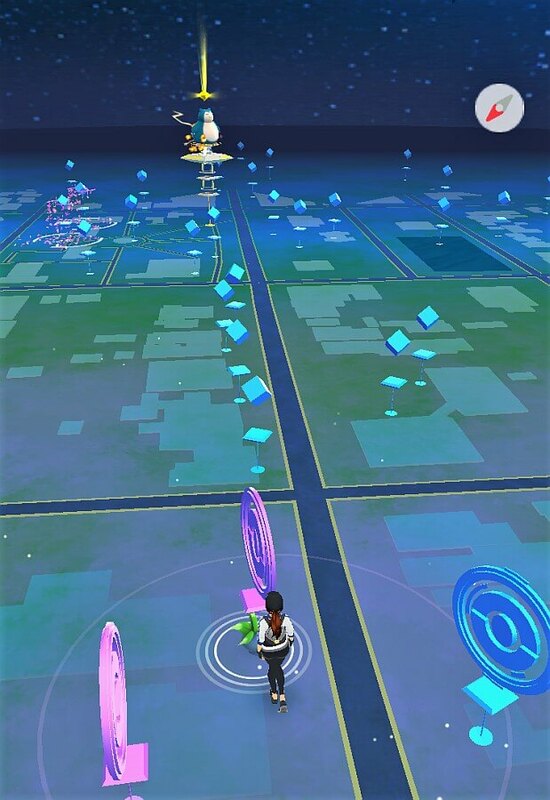 No matter the age, it is easy to catch a lot of fun while undertaking a Pokémon Go! 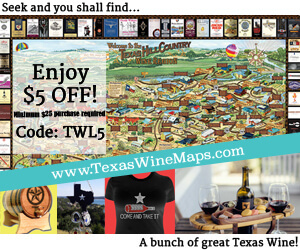 adventure along the Texas Hill Country wine trail. 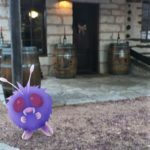 Do you know of any other Pokéstops, Gyms, or good hunting ground near Texas wineries? Is any of my info incomplete? Email me ([email protected]) with the sites, what you found, and pictures. 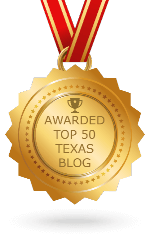 Hopefully, we can all create a more extensive list for Texas.